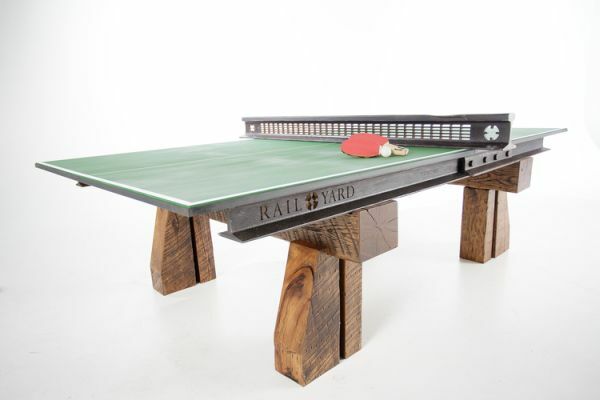 Rail yard Studios is a Nashville-based custom furniture manufacturing company that creates unique and exciting products from century old reclaimed railroad steel and hardwood. Rail Yard Studios was founded by Robert Hendrick who is the brain behind most of the company’s creations. 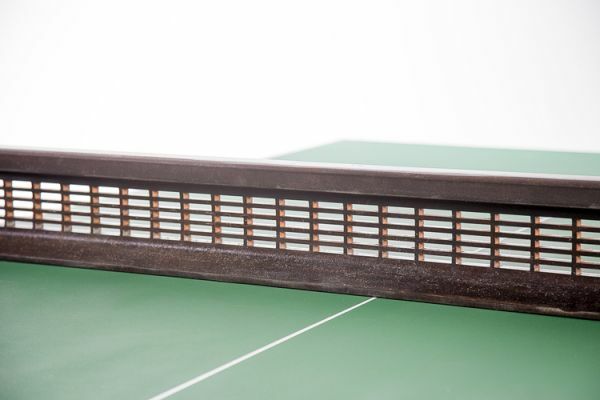 Click-Clack Table Tennis Table is latest offering of the studio which along with offering you and your family a fun gaming time also shares legacy and history of railroading. 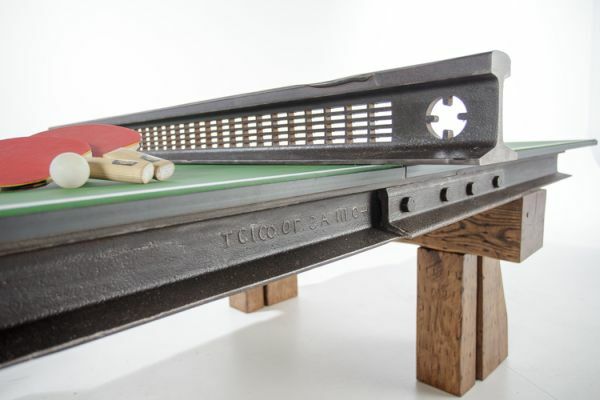 The side rails of unique ping pong table are more than 100 years old and were produced by Tennessee Coal & Iron Company (TCI Co). Clearly visible brand reading TCI Co Open Hearth 07 AS ||| 04 provides the much needed evidence of its history. The ||| 04 identifies its date of manufacture as March of 1904. Also the inverted and backwards lettering talks about the hand-crafted heritage of the materials. The top netting of the table features a piece of Tennessee rail which was removed due to superheating in 1943. Serious players will be glad to know that it meets the ITTF (International Table Tennis Foundation) regulation for height and width. Well, for not so rugged players, Rail yard Studios will provide a tradition regulation net. The sturdy and vintage looking base is crafted from oak and hickory timbers salvaged from the same tie plant that made the ties for the rails above. 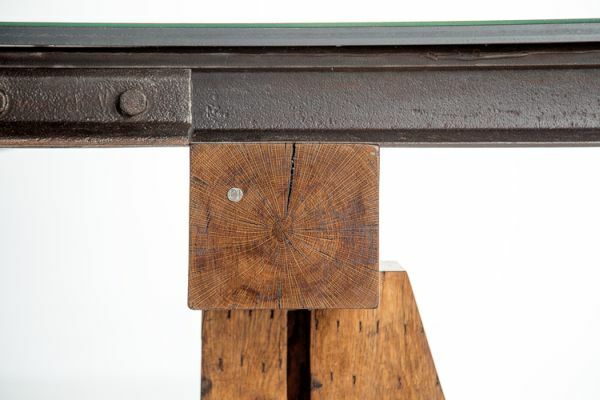 Well, that’s not all; this one-of-a-kind ping pong table comes with an authentic railroad date nail from 1921 scavenged from an abandoned railbed. 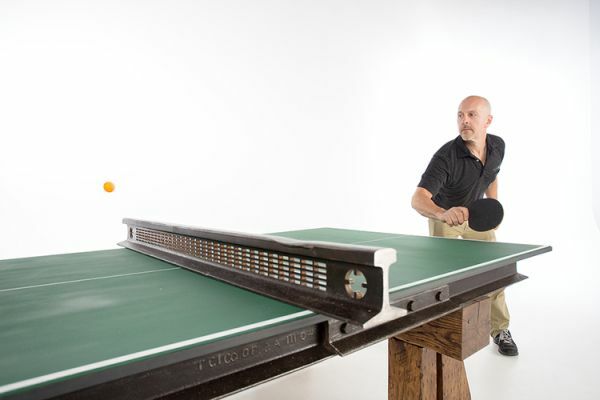 The ping pong table from Rail Yard Studios is priced at $ 13,995 and will come with four paddles, a traditional regulation net and a box of ping pong balls.